Following the Aviatik B.I, Aviatik produced their first full military-ready design in the Aviatik C.I series, a biplane reconnaissance aircraft. The C.I was a single-engine, twin-seat biplane with a Mercedes D.II 6-cylinder engine producing upwards of 120 horsepower and driving a two-blade propeller. The observer was seated in the front - just behind the engine - and the pilot was at rear. The forward observer had a single 7.92mm Parabellum machine gun on a flexible mounting. It was soon found that the field of fire for the observer was quite restricted and the rearward seating position of the pilot was ill-suited when compared to other aircraft types coming out at the time. Later examples of the C.I began seating the observer (with gun) to the rear and the pilot forward. This new arrangement produced the designation of "C.Ia". This version was built by both Aviatik and the Hannoversche Wag-gonfabrik. The C.I series as a whole would be replaced by a small series of the improved C.II, with 200-hp Benz Bz.IV engine. 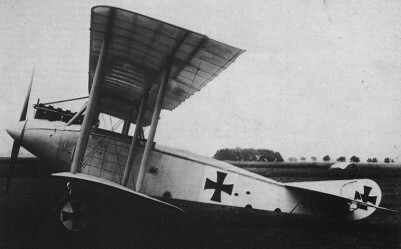 The final production model was the C.III of early 1916, which was originally designed with the old crew arrangement but quickly changed to a rear-observer layout. Powered by the 160-hp D.III, it had a cleaner and more streamlined nose, with propeller spinner faired into an improved engine installation, and was much faster than the C.I despite usually having twin machine-guns. A light bombload could be carried, and for some months the C.III was used in the first German Kampfgeschwader (bombing wings), though its main duty continued to be reconnaissance. Engine: 1 x Mercedes D.II 6-cylinder, 120hp. Maximum speed: 161 km/h (100 mph).